Looking to start a new enterprise? How about entering a field where consumer demand greatly exceeds supply right now — the ammunition business. If you have $38,000 or so you can get your own automated ammo-making machine from Ammo Load Worldwide, Inc., an American-run business located in Lewiston, Idaho. There’s also an 11-station, computer-controlled “Mark L” rifle ammo machine that’s a bit pricier — $77,000 with accessories. Sure that’s a tad more expensive than a Dillon XL650, but with a Mark L you can produce three thousand .223 Rem rounds per hour with the push of a button. For over 30 years Ammo Load machines have served ammunition manufacturers, commercial loaders, private shooting ranges, and numerous law enforcement agencies. The Mark X Ammo Load machine (for pistol cartridges) has a maximum production rate of just over 5,000 cycles per hour. Many users produce between 3,000 and 5,000 rounds per hour. The primary factors governing the quality and quantity of ammunition produced are the components (particularly the cases), the caliber, and the capabilities of the operator. The Mark X Ammo Load machine for pistol cartridges has nine (9) stations: Case Check, Size and Deprime, Primer and Primer Disk Check, Belling, Powder Feed, Powder Check, Bullet Seating, Bullet Crimp, Final Sizing. There are checks (with shut-offs) for case feed, primer feed, bullet feed, and powder load. The Mark X comes complete with shell case feeder, primer feed tube, powder flask, and bullet feed tube. 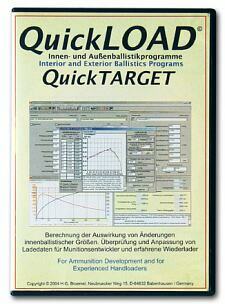 In 2009 Ammo Load Worldwide introduced the Mark L automatic rifle ammunition loader in .223 and .308. Many proven features from the Mark X pistol machine have been incorporated into the Mark L to provide precise and consistent rifle cartridge loading at approximately 3,000 to 3,600 rounds per hour. All of the sensors and switches use fiber optic technology to increase precision and reduce maintenance. The Mark L utilizes a 3-station powder drop; the manufacturer claims this maintains charge weights to within 1/10th of a grain. *Along with sizing, this first stage performs Flash-Hole Check, Ringer Check, and Case Check. Share the post "Idaho Company Produces Advanced Ammo-Loading Machines"
The Lot Number is imprinted on the left tuck flap of the 500-round carton as indicated here. DO NOT USE WINCHESTER® M*22™ 22 Long Rifle RIMFIRE AMMUNITION WITH LOT NUMBERS GD42L or GD52L. Winchester has determined the above lots of 22 Long Rifle rimfire ammunition may contain double powder charges. Ammunition with double powder charges may subject the shooter or bystanders to a risk of serious personal injury and/or death, or cause firearm damage, rendering the firearm inoperable. To determine if your ammunition is subject to this notice, review the Symbol Number and Lot Number. If it is Symbol Number S22LRT with a Lot Number GD42L or GD52L, immediately discontinue use. Contact Winchester toll-free at 866-423-5224 or visit Winchester’s Online Service Page to arrange free pick-up of the recalled ammunition. This notice applies only to Symbol Number S22LRT with Lot Numbers GD42L and GD52L. Other Symbol Numbers or Lot Numbers are not subject to this recall. If you have any questions concerning this .22LR rimfire ammunition recall call Winchester toll-free 866-423-5224, or visit Winchester Customer Support online. 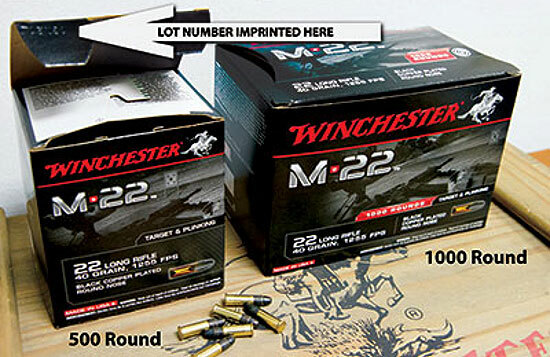 Share the post "Winchester Recalls Two Lots of M*22™ .22 LR Ammunition"
The Berger Southwest Nationals, one of the biggest shooting events west of the Mississippi, kicks off next week at the Ben Avery Range near Phoenix, Arizona. The event begins with a Shooting Clinic on Tuesday, February 4, and concludes with 1000-yard Matches on Sunday the 9th. The host Desert Sharpshooters Club, and the staff at Berger Bullets, are working very hard to make this the best SW Nationals ever. And if you are interested, there is still time to register. Berger tells us: “It’s not too late to sign up for the 2014 Southwest Nationals! The match runs from Feb. 4-9 at the Ben Avery Shooting Facility. We have a great schedule and prizes.” The weather will be good (it was 74° in Phoenix yesterday), and there will be thousands of dollars of gear on the Prize Table. If you want to join the fun, download the entry form below, and, as soon as you can, send an email to michelle.gallagher [at] bergerbullets.com. The Berger Southwest Long Range Nationals are held every February at the Ben Avery Shooting Facility just north of Phoenix, Arizona. Berger has partnered with the Desert Sharpshooters Rifle Club and the Arizona Game and Fish Department, resulting in a “must attend” event for long range shooters around the world. Ben Avery is a truly world-class facility, with 98 firing points, carefully maintained firing lines and plenty of wind flags. As the match sponsor, Berger provides the “extras” – ice chests full of drinks on the firing line, a banquet on Saturday night and awards to the winners, including over $3,500 in cash prizes and over 30,000 bullets in awards. Share the post "Berger Southwest Nationals in Phoenix Next Week"